The complete papers of our beloved Dr Diana N. E. Magee (1936-2017), including notes, some photographs, and a small group of correspondence. Presented by her nephew, Mr Alastair Malkin, on behalf of her sister, Mrs Jean Malkin. C. 10,500 colour slides (35mm), mostly of Egypt, taken between 1980s and 2000s by Mr John F. Dewey (1934-2017), former president of the RAMASES Egyptology Society in Kent. Presented by Mr David Huggins. Mr Arthur Cruttenden Mace’s (1874-1928) personal correspondence for 1922-1924, two typewritten articles, copies of Burton photographs, and newspaper cuttings for 1922-1925, which have joined some earlier journals accessioned in 2014. Presented by his grandchildren, Mr David Orr and Mrs Alison Crawford. 50 stereoscopic glass positives of views of Egypt (c. 1900-1914), together with a handwritten index and a Gaumont stereoscopic viewer, which are now part of the Institute’s collection of stereoscopic photographs. Acquired by the Griffith Institute. Additional correspondence (four letters) of Prof Percy E. Newberry (1869-1949) and his wife Mrs Essie Newberry (1878-1953) with Sir William Rothenstein and Dr Iorwerth Eiddon Stephen Edwards. Presented by Dr Edwards’ daughter, Mrs Lucy Constantine. Microfilm rolls with copies of Prof Siegfried Hugo Erdmann Schott’s (1897-1971) negatives (scenes from Theban Tombs) kept in the Griffith Institute, and of James Burton’s (1788-1862) and Robert Hay’s (1799-1863) manuscripts kept in the British Library. Internal transfer from the Sackler Library Archive Room. Two new additions to the Tutankhamun Archive: a copy of The Times, 20 March 1972, ‘Tutankhamun’, p. i-iv, on the success of the Tutankhamun exhibition held in the British Museum, presented by Mrs Helen Hughes-Brock; and two 1923 telegrams (telegraphs) from the U.S.A. to Lord Carnarvon and Howard Carter regarding Tutankhamun discovery, presented by Mr A. C. Mace’s grandchildren, Mr David Orr and Mrs Alison Crawford. An album of watercolours, drawings, and tracings of Egypt (c. 1842-1843) by Mr George Lloyd (1815-1843). Acquired at auction thanks to a grant from the Friends of the National Libraries. See more. Some additional research and teaching material of Mr Robert Thomas Rundle Clark (1909-1970), including notebooks and notes, as well as a small group of negatives, which complements the material accessioned in 2015. Presented by his daughter Mrs A. Trowell. Additional photographic material of Professor Jaroslav Černý (1898-1970), specifically five items portraying his wife Mrs Marie Sargant, née Hloušková, on her 80th birthday, and her daughter Mrs Anna J. Allot during a visit to the Czechoslovak Institute of Egyptology in Prague in 1973, which have joined the personal documentation accessioned in 2011 and 2016. Presented by Prof Černý’s stepdaughter Mrs Anna J. Allot. Two undated watercolours: a view of a Gothic European(?) church by a 'L.H.' 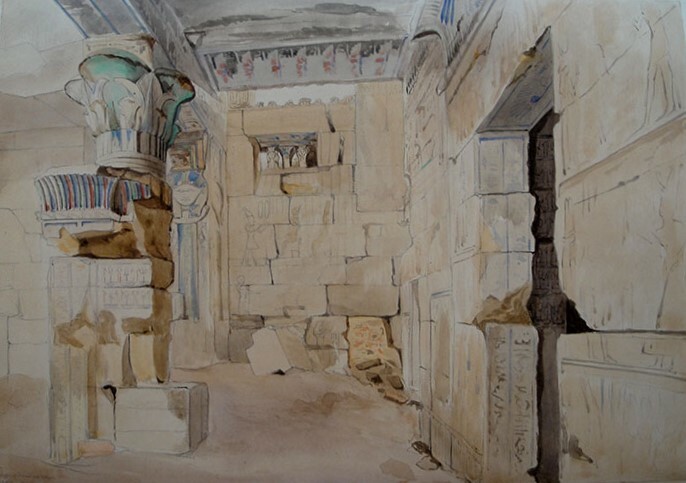 and a view of the colonnade of the Philae temple probably by the same artist but not signed, which have been added to the Institute’s watercolours and drawings collection. Presented by Mrs Elizabeth Fleming. 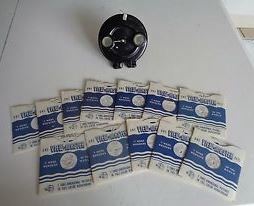 A Sawyers View-Master Model B (1944-1947) and twelve View-Master reels with pictures of Egypt (© 1950), which are now part of the Institute’s collection of stereoscopic photographs. Presented by Dr Francisco Bosch-Puche. Three new additions to the Tutankhamun Archive: a photograph of Prof R. G. Harrison (University of Liverpool), with Dr Z. Iskander et al. examining the mummy of Tutankhamun in KV 62 in early December 1968, presented for consultation purposes only by Dr Robert Connolly; a 'Tutoom – Journey to the treasures of the Pharaoh' board-game from 1923 which was on display in the 'Discovering TutAnkhAmun' exhibition at the Ashmolean Museum in 2014, presented by Mrs Elizabeth Fleming; and a wrist watch produced on the same occasion for merchandise, presented by Mrs Catherine Warsi. 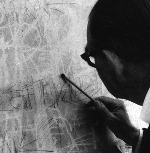 Additional material of Professor Jaroslav Černý (1898-1970). (1) A substantial group of personal correspondence with Mrs Marie Sargant, née Hloušková, whom he married in 1951. Presented by Dr Jiřina Růžová. (2) Personal documentation of Prof Černý and his wife Mrs Marie Sargant, including her passport, their marriage certificate, private photographs, negatives, correspondence and a group of miscellanea, which have been added to the similar group of papers accessioned in 2011. Presented by his stepdaughter, Mrs Anna J. Allot. A substantial group of loose plates, some of which hand-coloured, from a number of early (mostly 19th century) Egyptological publications, including from works by Cailliaud, Champollion, Gau, Prisse d’Avennes, Rifaud and Rosellini. Presented by Mrs Henrietta and Mr Christopher McCall. 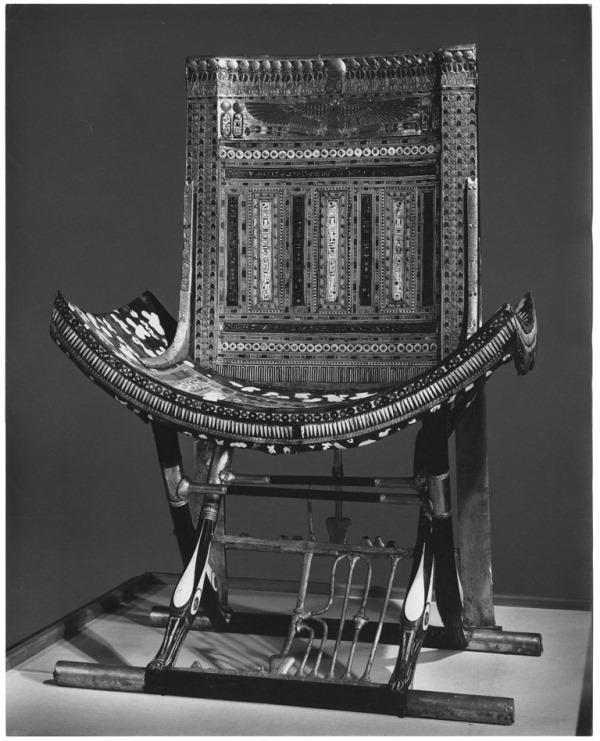 Two large format positive transparencies of Tutankhamun’s throne (Carter no. 91) by the American photographer John G. Ross (1920-2006). Presented by Dr Geoffrey Killen. Two modern (late 20th century) copies of Lehnert & Landrock photographs of Egypt. Presented by Mrs Elizabeth Fleming. Small additions to the correspondence groups of Professor Francis Llewellyn Griffith (1862-1934), Dr Alessandra Nibbi (1923-2007) and Professor Thomas Eric Peet (1882-1934). The first two were transferred from the Sackler Library and the latter presented by Prof Richard B. Parkinson. A new addition to the Tutankhamun Archive: a selection of merchandising products from the 'Discovering TutAnkhAmun' exhibition at the Ashmolean Museum in 2014, including postcards, magnets, posters, notebooks, etc. Presented by Mrs Elizabeth Fleming. 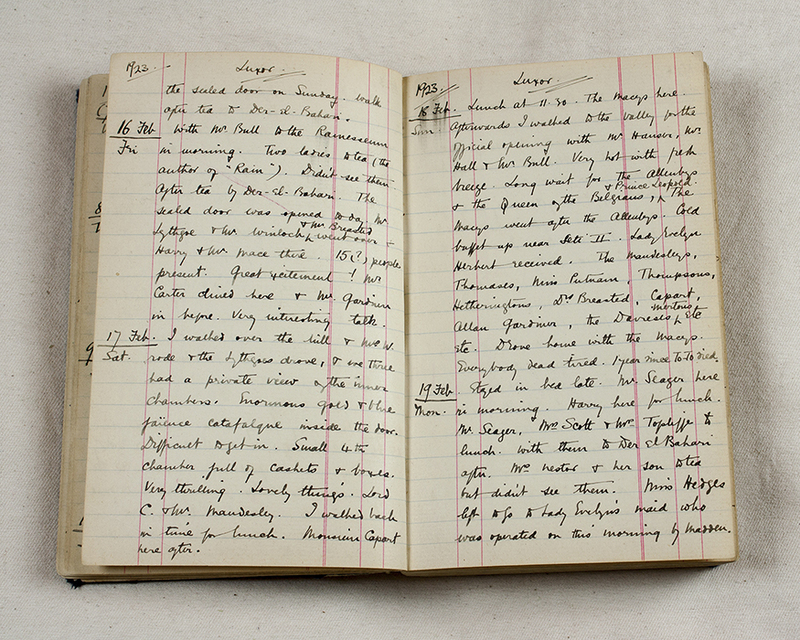 The personal diary of Mrs Minnie C. Burton (1876-1957), wife of the British archaeologist and photographer Harry Burton, kept from the 4th of May 1922 to the 20th of October 1926. Acquired at auction thanks to two grants from the Friends of the National Libraries and the Heritage Lottery Fund. See more. Rubbing and drawing of the emblem of the 16th nome of Lower Egypt, relating to the creation of the Clarendon Press's (Gardiner's) hieroglyphic font by Nina (1881-1965) and Norman de Garis Davies (1865-1941) and Sir Alan H. Gardiner (1879-1963) for use in Gardiner's Egyptian Grammar, which have been added to the material accessioned in 2009. Formerly in the possession of the late Mr D. Wishart and presented by his son Mr A. Wishart. 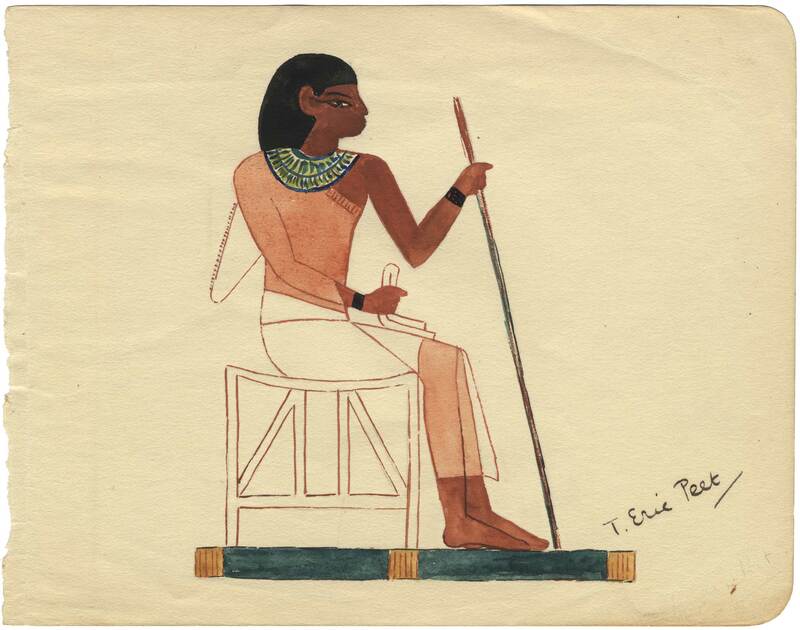 Mr Robert Thomas Rundle Clark's (1909-1970) research and teaching papers, including notebooks, notes and annotated offprints, as well as some lantern slides, which have joined the material on the iconography of Osiris accessioned in 1971. Presented by his daughter Mrs A. Trowell. Some additional photographs and family papers of Mr Wilfrid Joseph Dilley (1874-1941), which complements the material accessioned in 2014. Presented by his granddaughter Mrs C. J. Sleight. 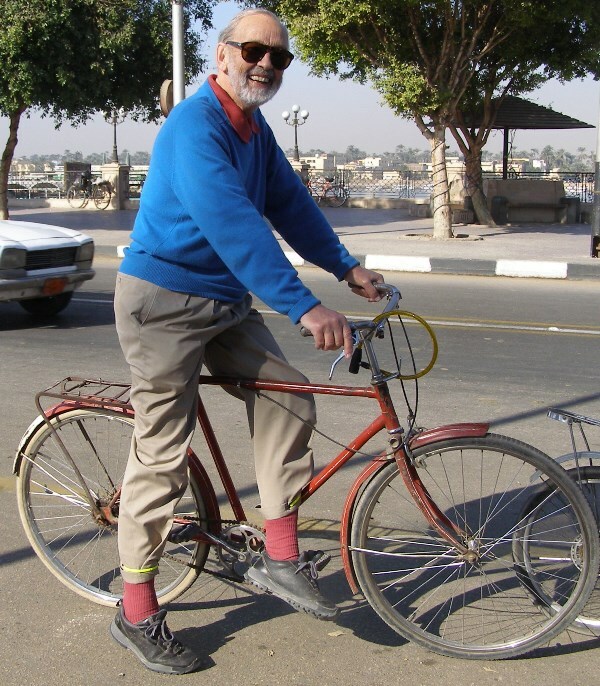 Some non-Egyptological additional papers of Mr Terence DuQuesne (1942-2014). Formerly in the possession of his publisher Mr D. Jacobs and presented by Mr J. Matthews. An additional folder containing notes and photographs of New Kingdom stelae by Professor Alan Schulman (1930-2000), which has been added to the rest of his papers accessioned in 2008, 2009 and 2012. Presented by Dr D. Sweeney. 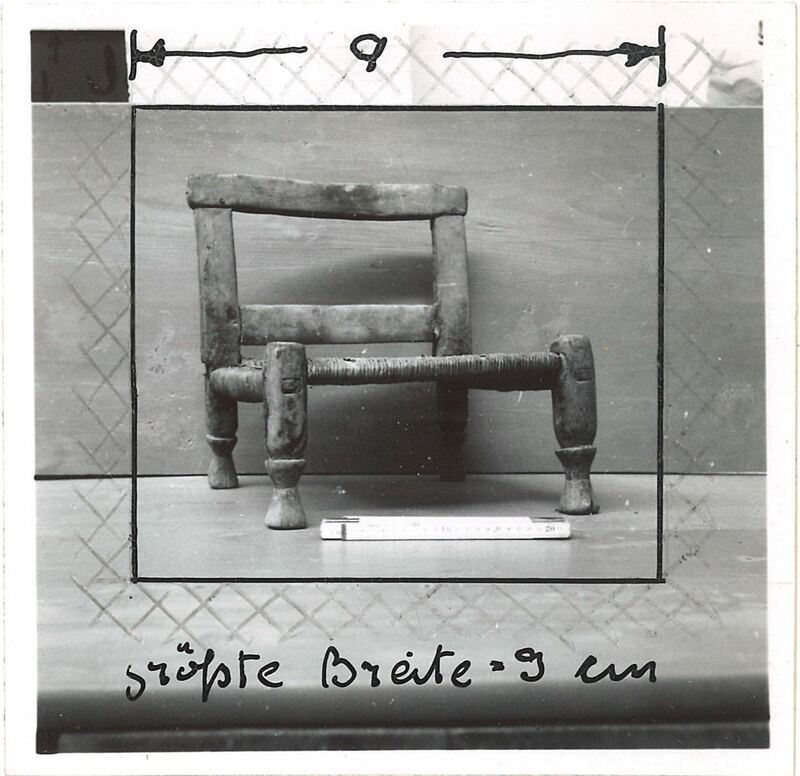 Some additional negatives, photographs, notes and drawings by Mr Walter Segal (1907-1985) of furniture in the Egyptian Museum in Cairo, the British Museum and gathered from publications, which have joined the rest of his material accessioned in 2008 and 2014. Presented by Dr M. Eaton-Krauss. A few additions to the Tutankhamun Archive, including: three copies of the poster of the Semmel Concerts' exhibition 'Tutankhamun: His Tomb and His Treasures' in Manchester, internal transfer; a complete set in its original wooden box and a group of duplicates of plates of Tutankhamun’s painted box: Reproduced in colour from the original in the Cairo Museum, by Nina M. Davies and with explanatory text by Alan H. Gardiner (Oxford: Griffith Institute, 1962), internal transfer; a London Underground tube/train advertisement from the 1970s which was on display in the 'Discovering TutAnkhAmun' exhibition at the Ashmolean Museum in 2014, presented by Prof J. Baines; a portfolio with newspaper and magazine cuttings, mainly from the contemporary press, including The New York Times and The Illustrated London News, relating to the finding and excavation of the tomb of Tutankhamun, collected by Mr F. W. Robinson and presented by Mr W. H. Peck; five brass printing plates from the production of Penelope Fox, Tutankhamun’s Treasure (London: Oxford University Press, 1951), presented by Mrs S. Woodhouse; and two further sets entitled 'Discovering TutAnkhAmun in 3D: Stereoscopic Installation Photographs of the Ashmolean Exhibition, 24 July – 2 November, 2014' created and presented by Ms J. Navratil. Two photograph albums (one with family portraits and the other entitled 'Abusir. Summer 1923') and a copy of a publication on Arab architecture by the British engineer Mr Wilfrid Joseph Dilley (1874-1941). Presented by his granddaughter, Mrs Christina J. Sleight. The bequest of the complete research papers of Mr Terence DuQuesne (1942-2014), including manuscripts, photographs and digital files. See more. Two typescripts by Dr Paul Eric Kahle (1923-1955), entitled The Acta Pauli and The Meaning of diakonia in Coptic Texts, which have joined the rest of his papers accessioned in 1960 and 2009. Internal transfer from the Sackler Library. 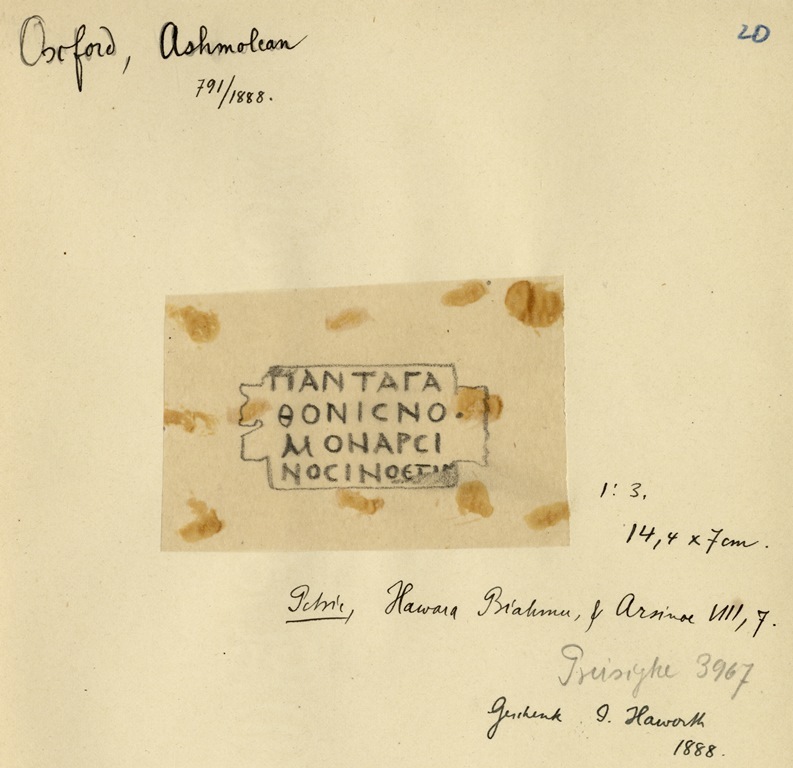 Mr Arthur Cruttenden Mace's (1874-1928) excavation journals covering the periods 1899-1901 (working with Sir W. M. F. Petrie) and 1901-2 (working with Professor G. A. Reisner). Presented by his grandson, Mr David Orr. Professor Thomas Eric Peet (1882-1934). (1) Small watercolour. Presented by his great-niece, Mrs C. Newton. (2) Group of family papers and ephemera, including correspondence, photographs, newspaper cuttings, etc. Presented by his great-granddaughter, Mrs C. Barnes. 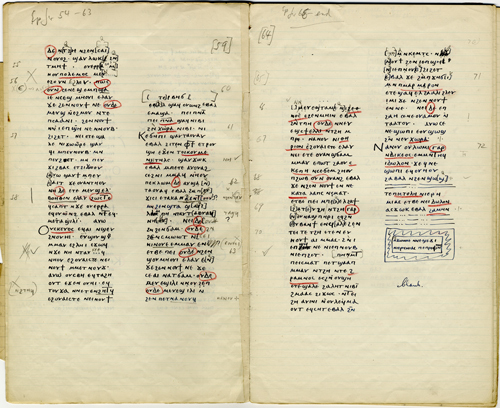 Both groups have joined Peet's notebooks and slip indexes already in the Griffith Institute Archive, which were part of Sir Alan Gardiner's bequest. 2,500 slides (35mm), taken in the early 1960s at sites in Egypt and in the Egyptian Museum in Cairo by Mr John Phillips (1930-1999). Presented by Ms S. Cokyll. Mr Walter Segal's (1907-1985) notes, drawings, negatives and photographs of furniture in the Egyptian Museum in Cairo, the British Museum, as well as other collections, and material gathered from publications, which has been added to the rest of his material on thrones, chairs, stools and footstools from the tomb of Tutankhamun accessioned in 2008. Presented by Dr M. Eaton-Krauss. 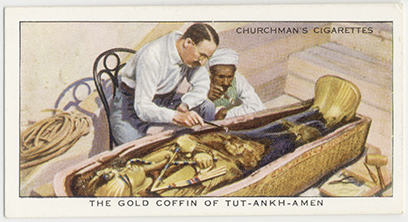 A number of additions to the Tutankhamun Archive, following the 'Discovering TutAnkhAmun' exhibition at the Ashmolean Museum, including: five cigarette cards from 1926 and 1937, presented by Mr P. A. Clayton; a copy of the Evening Standard Souvenir, 3 June 1972, 'Tutankhamun', presented by Mrs J. Gerard; a set entitled 'Discovering TutAnkhAmun in 3D: Stereoscopic Installation Photographs of the Ashmolean Exhibition, 24 July – 2 November, 2014' created and presented by Ms J. Navratil; and a group of display materials from the exhibition, including labels, gallery guides, banners, etc., presented by the co-curator of the exhibition, Mr L. McNamara. 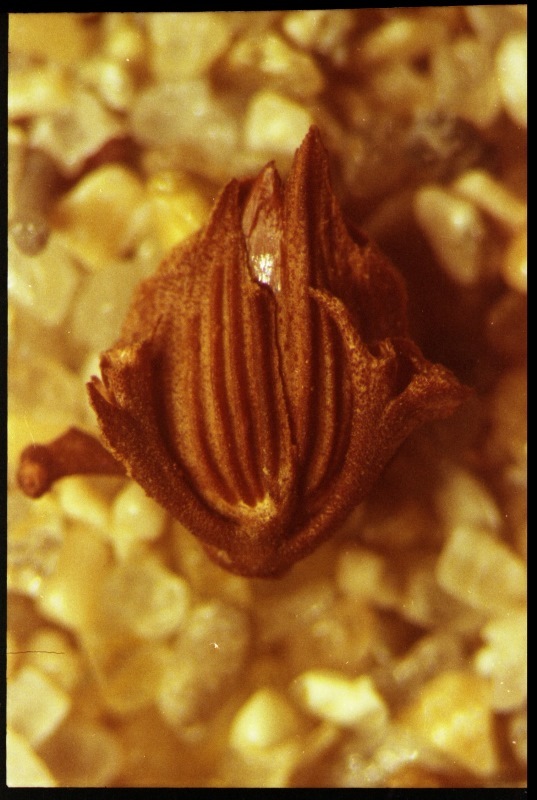 Some additional material relative to the study of botanical specimens from the tomb of Tutankhamun by Dr Christian Tutundjian de Vartavan (b. 1965) (deposited at Kew Gardens and in Cairo), which have been added to the rest of his papers accessioned in 2010. Presented by Dr C. T. de Vartavan. Dr Colin Christopher Walters (1937-2006) papers, including notes, drafts, lectures, annotated photocopies and notebooks. Presented by his nephew, Mr M. Lamb. 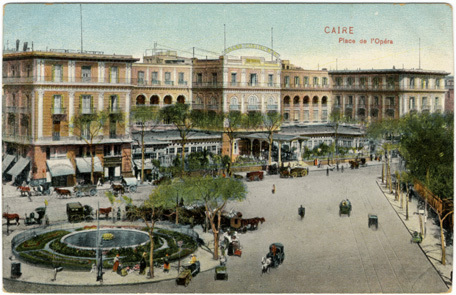 Nine postcards from Lehnert & Landrock, Cairo. Presented by Mr R. and Mrs A. Hobby. 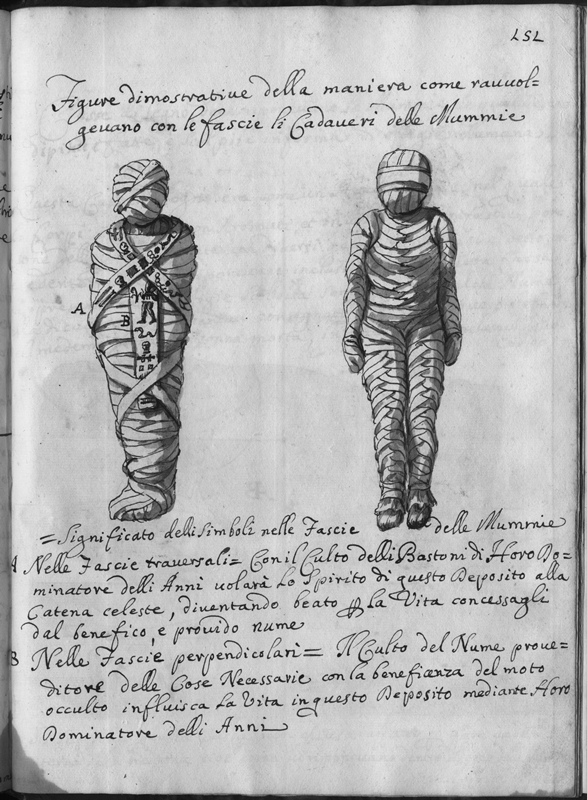 Bound manuscript on Egyptian hieroglyphs by the Italian sculptor Pietro Bracci (1700-1773). Internal transfer from the Sackler Library. Amelia Ann Blandford Edwards (1831-1892). (1) First edition of Pharaohs, Fellahs and Explorers (1891), with handwritten dedication to ‘Katie’ [Mrs Kate Griffith (née Bradbury)]. Internal transfer from the Sackler Library. (2) Album of drawings entitled Small Egyptian Scraps, 1874, see http://www.griffith.ox.ac.uk/edwards-special/, with pencil sketches and one watercolour created by Miss Edwards during her visit to Egypt in 1873-4. Internal transfer from the Griffith Institute Archive (formerly Griffith Notebook 28). Both items have been added to the Amelia Edwards collection of papers. Copy of Gaston Maspero (1846-1916), Sur quelques inscriptions du temps d’Amenemhâit Ier au Ouady Hamamât (1891), bound together with an article by Vladimir S. Golenishchev (1856-1947), Epigraficheskie ruzultaty poiezdki v Uadi Khammamât (ca. 1888), including interleaved pages with annotations of Sir Alan Henderson Gardiner (1879-1963). Internal transfer from the Sackler Library. Five slip-cover boxes containing copies, transcriptions, facsimiles, drawings and some photographs of mummy labels in Demotic, Greek or bilingual, compiled by Professor Georg Christian Julius Möller (1876-1921). One folder in box V is by Professor Wilhelm Spiegelberg (1890-1930). Presented by Professor S. P. Vleeming. 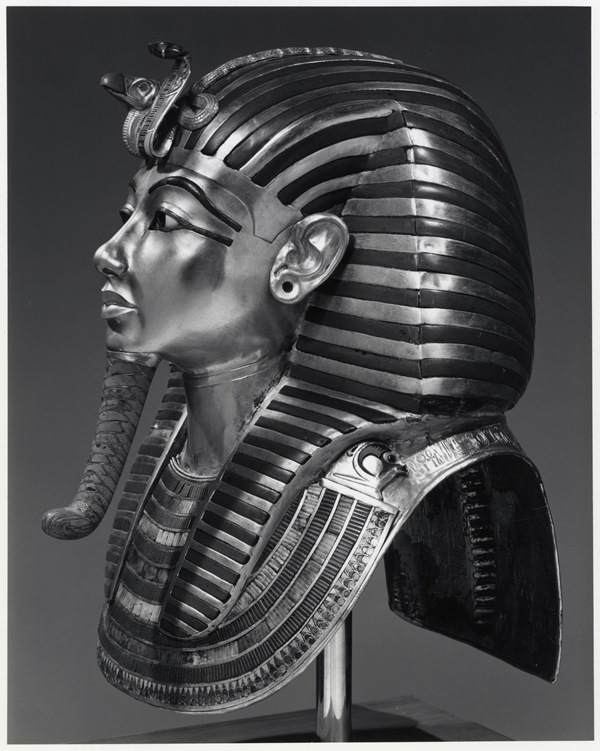 Mr Harold Parkinson (1918-1995), plaster and resin moulds with casts for models of the following objects: the mask of Tutankhamun, a plaque depicting a scene from lid (540) of casket (551) found in Tutankhamun’s tomb; and a group of small figurines. Also drawings of reconstructions of ancient Egyptian boats, and prints of a measured perspective drawing of the tomb of Tutankhamun. Presented by his son, Professor R. B. Parkinson. Photocopies of eight excavation notebooks compiled by Sir William Matthew Flinders Petrie (1853-1942), James Edward Quibell (1867-1935) and Hugh W. Price (?-? ), made from originals kept at University College, London. Internal transfer from the Sackler Library Archive. A photograph album containing images of Egyptian monuments and a framed photograph of Professor Jacobus Johannes (Jac. J.) 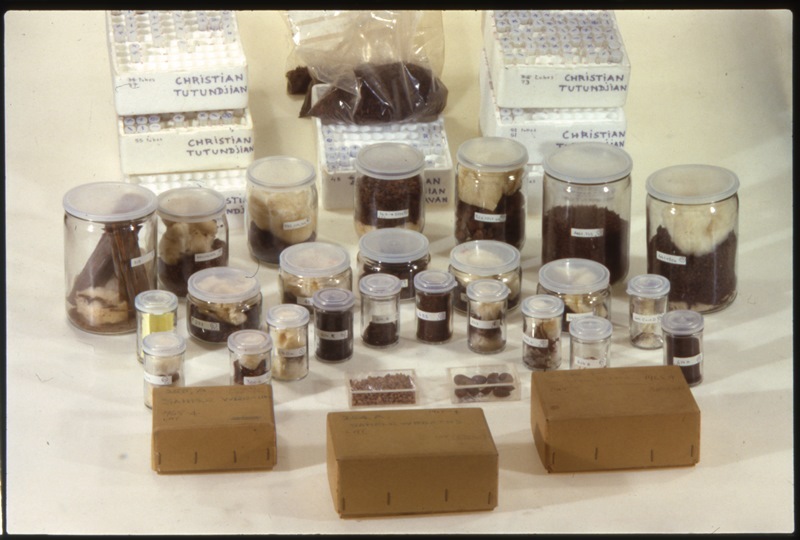 Janssen (1922-2011), which have been added to the rest of his papers accessioned in 2011 and 2012. Presented by his wife, Dr R. Janssen. Two Edition Alinari, photographs no. 6688 and no. 5964. Rome. View of the Pantheon obelisk, Ramesses II, probably from Heliopolis and of the bronze statue of Marcus Aurelius in the Piazza del Campidoglio. Both date to the end of the 19th century. Presented by Mrs A. Hobby. Photocopies of family papers and portraits of Howard Carter (1874-1939). Presented by the family of Miss Phyllis Walker. 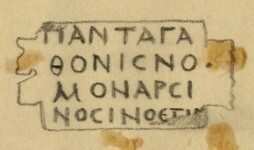 Group of loose plates, probably proofs of Inscriptions of Sinai by Professor Jaroslav Černý (1898-1970). Internal transfer. Notebook of Dr Bernhard Grdseloff (1915-1950) on the monuments of Merneptah, annotated by Professor Jaroslav Černý. Presented by Dr J. Malek, former Keeper of the Griffith Institute Archive. 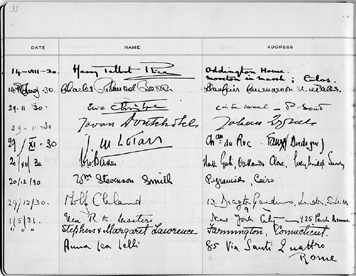 For Dr Grdseloff’s papers already in the archive, see the list of records. Letter from Mr G. Weston to Professor Francis Llewellyn Griffith (1862-1934), and hand copy of a hieroglyphic inscription by the latter, both transferred from the Sackler Library. Some additional papers of Professor Jacobus Johannes (Jac. J.) Janssen (1922-2011). Presented by his wife, Dr R. Janssen. Around 50 black and white photographs and two colour negatives of objects in the Egyptian Museum in Cairo by Mr Frederick Leslie Kenett (1924-2012). 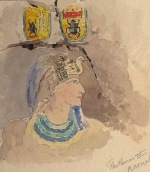 Kenett’s images were used in Christiane Desroches-Noblecourt, Tutankhamen. Life and death of a pharaoh (1963). Presented by Mrs. K. Stylianou. Another batch of notes and photographs of objects and sites by Professor Alan Schulman (1930-2000), and a collection of 19th century studio photographs formerly in his possession. They have joined the rest of his papers accessioned in 2008 and 2009. Presented by Dr D. Sweeney. Some additional material of Professor Jaroslav Černý (1898-1970), including personal photographs taken in Egypt, notes, incomplete proofs of one of his publications, a notebook and a number of photocopies. Presented by his stepdaughter, Mrs Anna J. Allot. The complete papers of Professor Jacobus Johannes (Jac. J.) 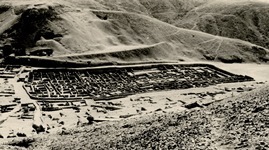 Janssen (1922-2011), including transcribed hieratic documents, photographs, annotated photocopies, notes on Deir el-Medina and some unpublished material. Presented by his wife, Dr R. Janssen. See more. Dr Alexandra (Alix) H. Wilkinson (1932-2011), notes, drafts and photographs on ancient Egyptian gardens and cultivation, and some notes and photographs on ancient Egyptian jewellery. Presented by her husband, Mr J. Wilkinson. Professor Karl Heinz Kuhn (b. 1919) Notes, negatives, transcripts, photographs and photostats of Coptic documents in various collections. Presented by his family, via Dr J. Cromwell. 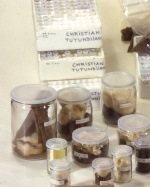 Dr Christian Tutundjian de Vartavan, botanical specimens from the tomb of Tutankhamun (deposited at the Royal Botanic Gardens, Kew), notes, negatives and photographs. 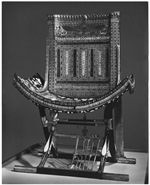 Donated by Dr Tutundjian de Vartavan. Webb-Davey papers. 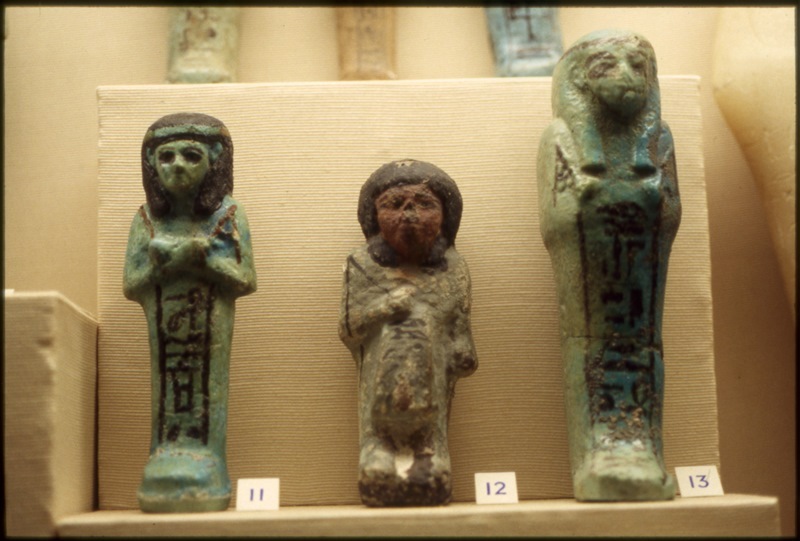 Notes, colour transparencies and photographs of shabtis from museums, private collections and dealers, and colour transparencies and photographs taken in Egypt and elsewhere, showing monuments and objects, and a large number of photographs taken in the tomb of Haremhab (KV 57). Compiled by Mr Peter Webb (1955-1992) and Mr Ron Davey (?-?). Presented by Dr N. Reeves. 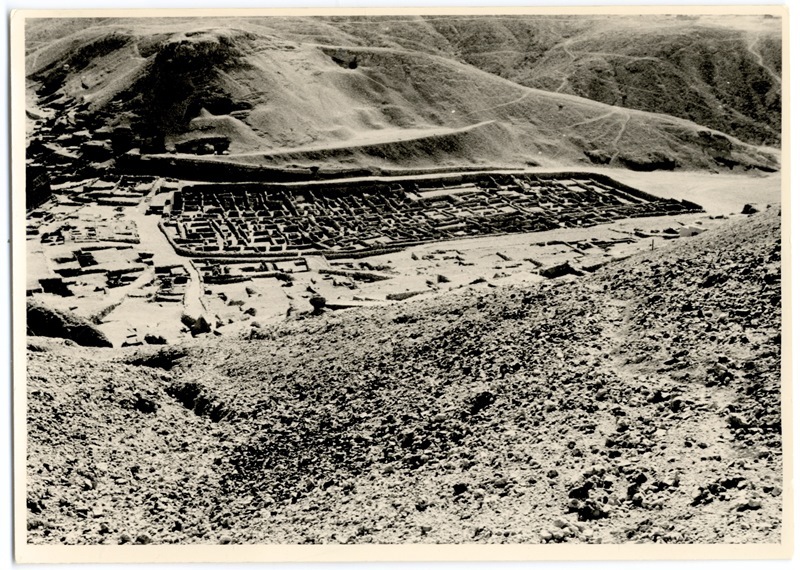 Professor Robert McLachlan Wilson (1916-2010), copies, notes, transcripts, photographs and correspondence relating to surviving fragments of the New Testament in the Faiyumic dialect of Coptic. Presented by his son, Mr. A. Wilson. This group is the continuation of the work of Dr P. E. Kahle (1923-1965), presented by Professor Wilson to the Griffith Institute’s Archive in 2009. Another batch of notes, photographs, copies of inscriptions, etc., mostly concerning ancient Egyptian monuments from the Memphite area and now in various museums. Compiled by the late Professor Alan R. Schulman (1930-2000). Presented by Mrs D. S. Schulman. For the material presented to the Griffith Institute's Archive previously, see accessions of the Griffith Institute Archive in 2008. Drawings and correspondence concerning the creation of the Clarendon Press's (Gardiner's) hieroglyphic font by Norman and Nina de Garis Davies and A. H. Gardiner for use in Gardiner's Egyptian Grammar. Presented by Mr A. Wishart (son of the late D. Wishart). Copies and notes on the surviving fragments of the New Testament in the Faiyumic dialect of Coptic, by Dr P. E. Kahle (1923-1965). Presented by Professor R. McL. Wilson. Another batch of notes, photographs, chapters from The negation of the adverb in demotic, etc., by the late Professor Mordechai Gilula (1936-2002). Presented by Mrs. D. Gilula. See also accessions of the Griffith Institute Archive in 2007. Twenty-nine albumen prints of 19th-century photographs showing various sites in Egypt, including Abydos, Alexandria, Beni Hasan, Dendera, Edfu, Esna, Heliopolis, Karnak, Medinet Habu, Qurna, The Ramesseum, Saqqara and Theban tombs. Several famous photographers of ancient Egyptian monuments are represented in this group. 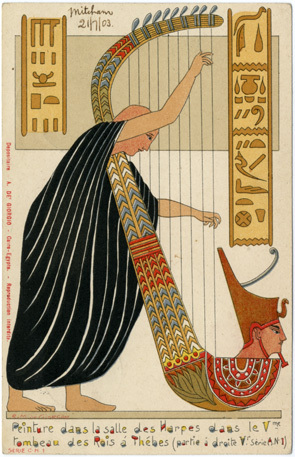 The prints are remarkably well preserved and some of these images are new for our Egyptian Mirage database. An album containing seventy-four 19th-century albumen prints of Egypt, mostly by J. P. Sebah. It probably dates from about 1890. Many of these photographs are new for our Egyptian Mirage database. 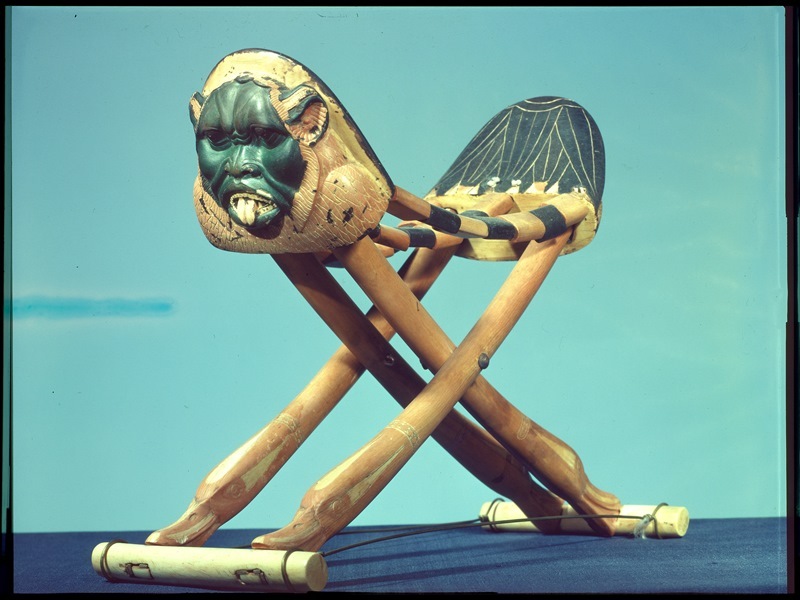 (Acquired by purchase with the help of the Essex Egyptology Group, the Southampton Ancient Egypt Society, the Oxford Experience 2005 Summer School led by Chris Kirby, groups from Birkbeck College, London, led by Suzanne Bojtos and Charlotte Booth, and a group from the Workers Educational Association, Essex, led by Charlotte Booth). Some 50 photographs taken in Egypt in 1888 by James Parker Simpson. The copyright of these photographs belongs to Mr Simon B. Simpson but the Griffith Institute's Archive has scans and prints. A copy of My Early Years, by Sir Alan Gardiner. Typed, photocopied and bound by John Gardiner at Ballaghaue, Isle of Man, 1986. Includes Henry John Gardiner, ... A very few reminiscences by his younger son, and The Tutankhamun tomb, by Margaret Gardiner. (Donation.) The papers of Sir A. H. Gardiner are in the Griffith Institute. Two albums of photographs. (Donation.) One album, formerly belonging to Captain H. Langford, contains albumen prints of Antonio Beato's photographs taken in the 1890s, especially views of the Luxor and Karnak temples and the Ramesseum. See online database of similar 19th-century "studio photographs" in the Archive of the Griffith Institute (some of the photographs in the album are new and will be added to the database). The other album contains photographs taken during a trip to Egypt in 1923, including views of the then recently discovered tomb of Tutankhamun (Howard Carter's excavation records are in the Archive of the Griffith Institute). Seven card-indexes compiled by E. J. Baumgartel (1892-1975) recording grave finds from Naqada and Ballas. (Internal transfer.) They are based on Flinders Petrie's excavation records. The Archive of the Griffith Institute already has some papers of E. J. Baumgartel. Some papers of Professor Mordechai Gilula (1936-2002). (Donation.) These include a copy of an extensive study of The negation of the adverb in demotic, proofs of articles, notes, correspondence and an index of words and phrases illustrating various grammatical concepts. Four photographs taken by anonymous photographers during the excavation of the tomb of Tutankhamun. Griffith Institute photos. 102.51-4. (Donation.) [We already have a number of such photographs and these will be made available in Tutankhamun: Anatomy of an Excavation. The years between 1990 and 1997 have seen a steady increase in the material kept in the Archive of the Griffith Institute. Among the accessions there are two groups which are exceptional by any standards. The first of these is the papers of Jacques Jean Clère, presented by Madame Irène Clère in 1995. 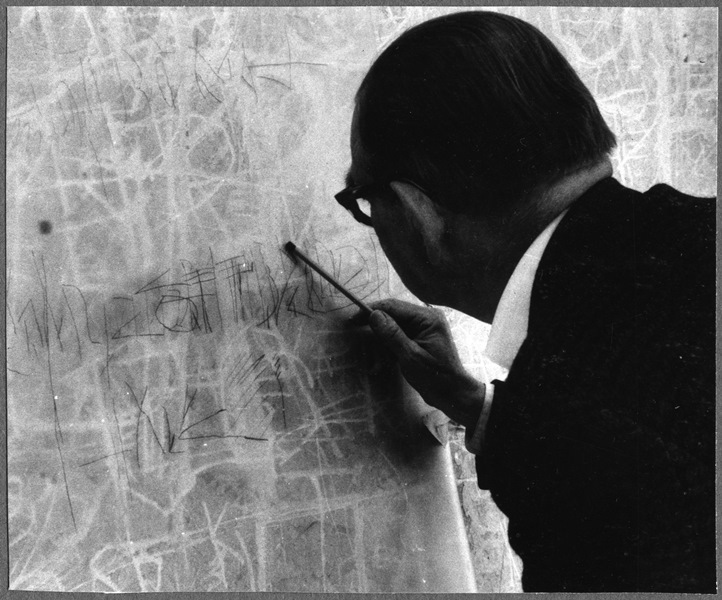 J. J. Clère (1906-1989), the former Directeur d'Études at the École Pratique des Hautes Études in Paris, was an outstanding Egyptologist whose interests ranged from Egyptian philology to ancient Egyptian sculpture, and from the Early Dynastic Period (shortly after 3,000 BC) to the Ptolemaic Period (332-30 BC). He was an excellent epigraphist and a keen photographer who recorded many unpublished monuments in museum and site storerooms as well as pieces seen on the art market or in the hands of dealers. 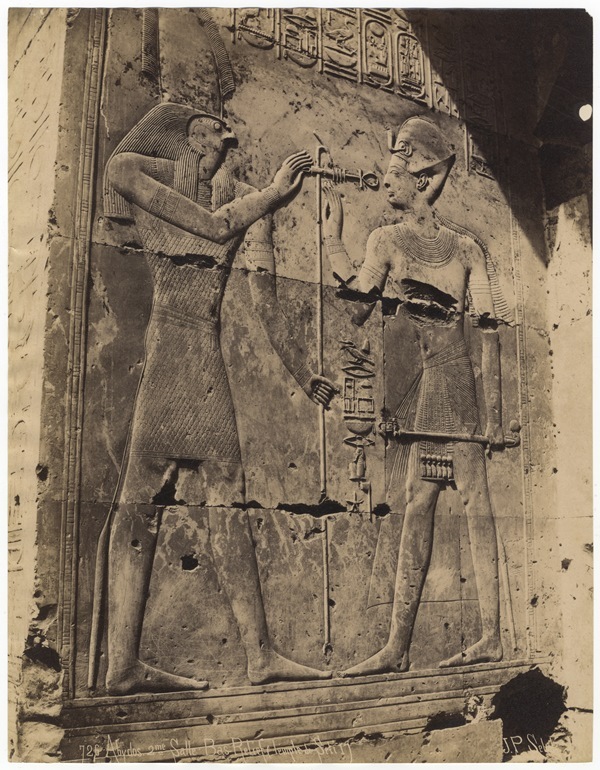 This documentation often remains the only evidence we have concerning such material and will prove invaluable for the Griffith Institute's other main project, the Topographical Bibliography of Ancient Egyptian Hieroglyphic Texts, Statues, Reliefs and Paintings. 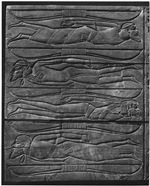 The papers also contain a copy of Clère's unpublished volume on Middle-Kingdom stelae in the Egyptian Museum in Cairo which was prepared for the Catalogue général des antiquités égyptiennes du Musée du Caire series. There is also the documentation concerning his unfinished project on sistrophorous statues and some material intended for further fascicles devoted to the texts of the First Intermediate Period. In sheer volume, the material represents one of the largest groups in the Griffith Institute's Archive. 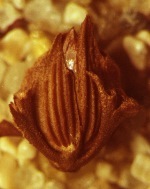 It has been analyzed and catalogued in a general way but detailed identification and classification will continue for some time to come. 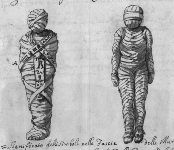 The second group consists of a large number of drawings and sketches made by Joseph Bonomi. Joseph Bonomi (1796-1878) was a superb and versatile draughtsman who spent many years in Egypt cooperating with some of the most prominent copyists of the first half of the 19th century, such as Robert Hay, James Burton, John Gardner Wilkinson (later Sir), and Ippolito Rosellini. He travelled extensively in Egypt and the Sudan as well as in other countries of the Levant. Bonomi was a member of the famous epigraphic expedition led by Richard Lepsius in 1842-4. In the United Kingdom, he was actively involved in the production of books on ancient Egypt, the cataloguing of Egyptian collections, and the design and decoration of Egyptianizing buildings. In 1861 he was appointed Curator of Sir John Soane's Museum in London. Bonomi's material in our Archive is of various dates and covers Egypt, Nubia, Palestine and other countries. A detailed analysis and cataloguing of these papers will begin soon. An interesting addition to the Archive is a notebook by C. G. Jelf concerning work in various Theban tombs in 1909-10, which was financed by Robert L. Mond (later Sir). This has been presented by Dr Donald P. Ryan and it completes the other notes by Jelf already in our Archive (among the papers of Sir Alan Gardiner). 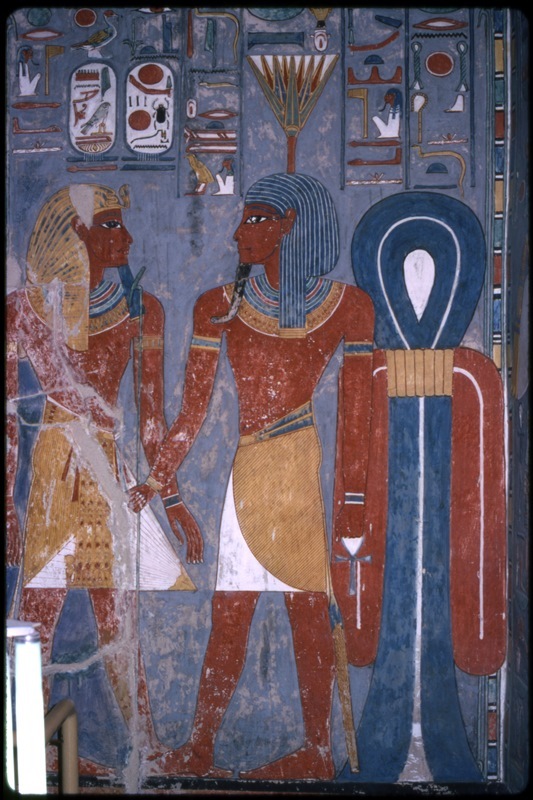 The quality of our documentation of the tombs on the west bank of the Nile opposite Luxor, which are generally known as the Theban tombs (the Greek name of ancient Egyptian Weset was Thebes), especially those dating from the New Kingdom (1540-1069 BC), is outstanding. 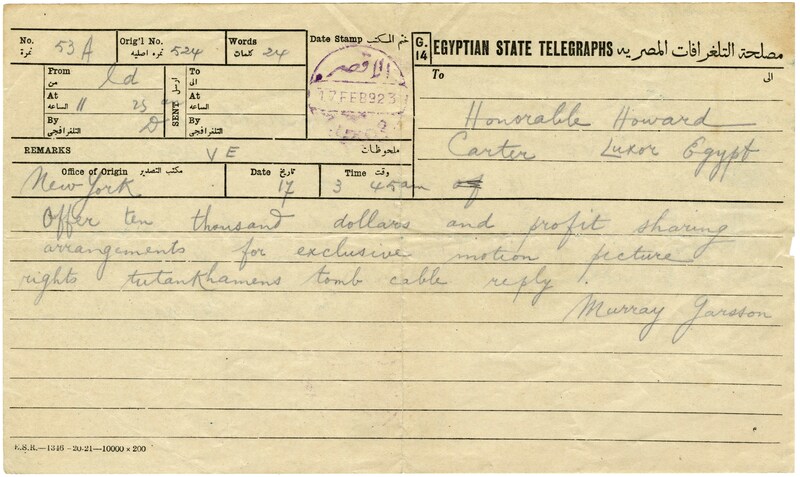 The excitement surrounding the discovery of the tomb of Tutankhamun in November 1922 is vividly recorded in correspondence addressed to Howard Carter by various non-scholarly members of the general public. A group of such letters, often charmingly naive, has been given to our Archive by Mrs Margaret Orr, the daughter of Carter's close collaborator and co-author, A. C. Mace. Some photographs and lantern slides illustrating the excavation of Tutankhamun's tomb have been presented by Mrs G. E. W. Howells, Dr H. Whitehouse, Dr P. T. Nicholson, and Mr Neville Jones, and correspondence on the same topic has been the gift of Sir Noel Moynihan. 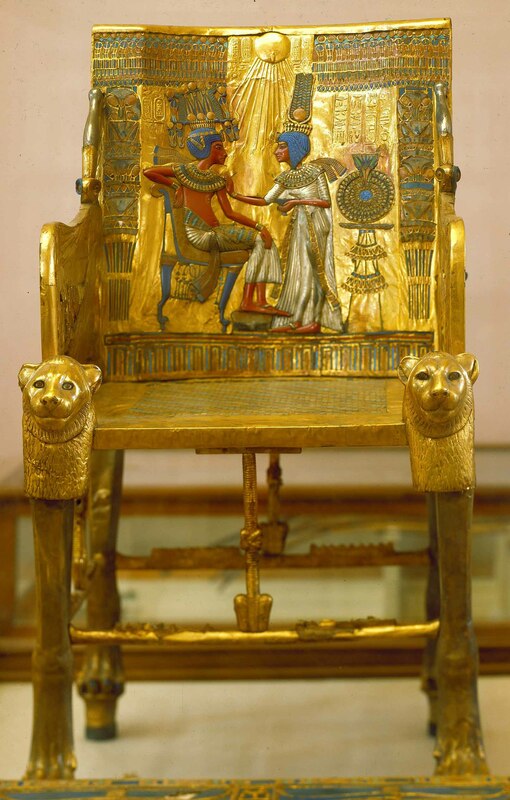 All these provide further insights into the excavation of Tutankhamn's tomb. 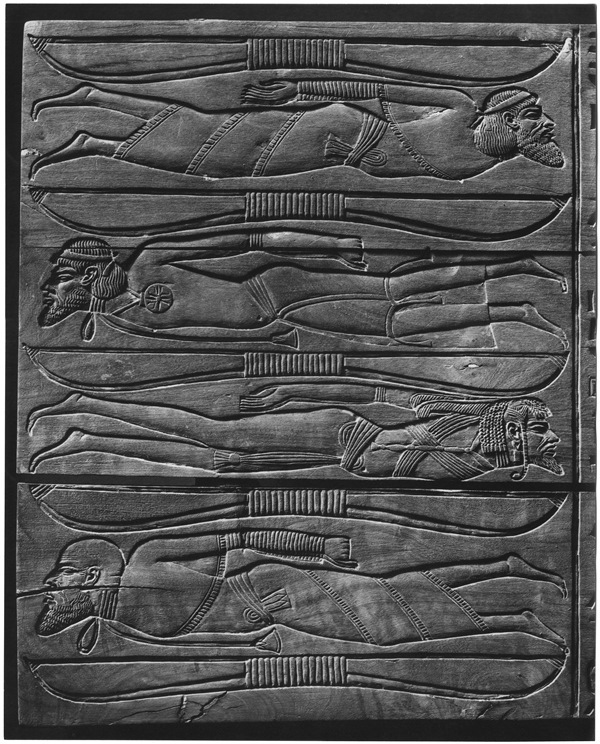 The field records by Howard Carter and his collaborators and the photographic documentation by Harry Burton are one of the most often consulted groups of archive material in the Griffith Institute. Some additional material of Professor Jaroslav Cerný, especially correspondence, has been presented by his step-daughter, Lady Mackintosh. It completes the very extensive and much used Cerný papers already in our Archive. Additions have also been made to another very important group of records which we already have. These are the papers of Sir Alan Gardiner and the new material, mainly correspondence, completes the section on linguistics. Sir Alan's original contribution to general linguistics has recently become the focus of renewed scholarly interest. The additional material has been presented by his daughter, Mrs Margaret Gardiner. Original prints have enlarged our impressive collection of 19th-century "studio photographs" of Egypt. An interesting album has recently been donated by Mr T. G. H. James. Although it probably dates to the 1920s, it contains prints of 19th-century photographs which had previously not been represented in our Archive. More recent, but nevertheless not without interest, are photographs taken by Dr G. Weiler and Mr Sieburg during trips to Egypt in the 1950s. These were given to us by the Department of History of Art and the Taylor Institution Library. Photographs taken during a trip to the Eastern Desert in the late 1920s or early 1930s have been given to us by the daughter of Sir Laurence Kirwan, Mrs A. J. Preston, and some transparencies of Nubian sites taken in the early 1960s came from Mr D. M. Hawke. Some additional papers of Duncan Mackenzie who worked in Sudan with the Wellcome Expedition have been presented by his nephew, Mr A. B. Mackenzie. A copy of an unpublished manuscript of Creative Work in Palestine, by W. A. Stewart, the restorer of the furniture of Queen Hetepheres, has been given to us by Mrs P. Stewart.